This is the first interview for Talking Turnips and its setting off a chain reaction of interviews amongst the many Local Food projects in Glasgow. We'll be posting an interview every month (or more often if you're lucky) from a Local Food project in Glasgow, by a Local Food project in Glasgow. Each interviewee gets the opportunity to become interviewer for the next Talking Turnips, and can chose a local food project that they want to interview. Roz: Tim, can you tell me a little more about the how Woodlands Community Garden works. Tim: The garden has just finished its second full year of growing. It first began to take shape in 2009-10, when it was identified as a potential space for a community garden. Before that, the site had been derelict for many years, and had become quite wild with plants and rubbish. Now, the site is filled with raised beds, a polytunnel, a herb bed, a communal composting area, a community hub with an outdoor stage and much much more. There are 40 plot holders who each have a share in the raised beds, and community gardening sessions everyone Wednesday and Sundays for anyone who wants to help look after the communal areas of the garden..
Roz: What was your highlight of 2012 for the garden? Tim: Our harvest festival in early September was a very beautiful day. Over 400 people came and stayed for the whole day to take part in activities, eat food etc. We had a grand piano, a choir, live bands, a garden gnome tour, storytelling, photography workshop, living costumes, food cooked in the clay over, food stalls and more. The whole day was brilliant and we managed it on a shoestring, largely thanks to the many volunteers who helped out. Roz: Sounds brilliant. What's the inspiration that makes you do all this work? Tim: The money!! Ha. No, not really! Food brings people together. It brings people together to work collectively to create something that is both sustainable and equitable. People are starting to understand that food has a significant environmental impact, and they can address that quite practically. But growing food communally also has huge social benefits which is just as important. 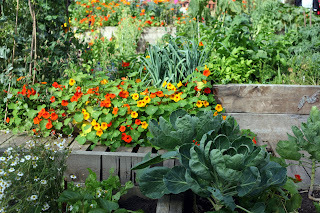 Roz: What is the one thing that you would like to see happen to Local Food in Glasgow in 2013? Tim: It's vital that environmental projects link more into social justice movements. Next year, welfare cuts and the recession are going to really bite, and there will be a growing need for food banks and places where people who cant afford to eat can get healthy food. 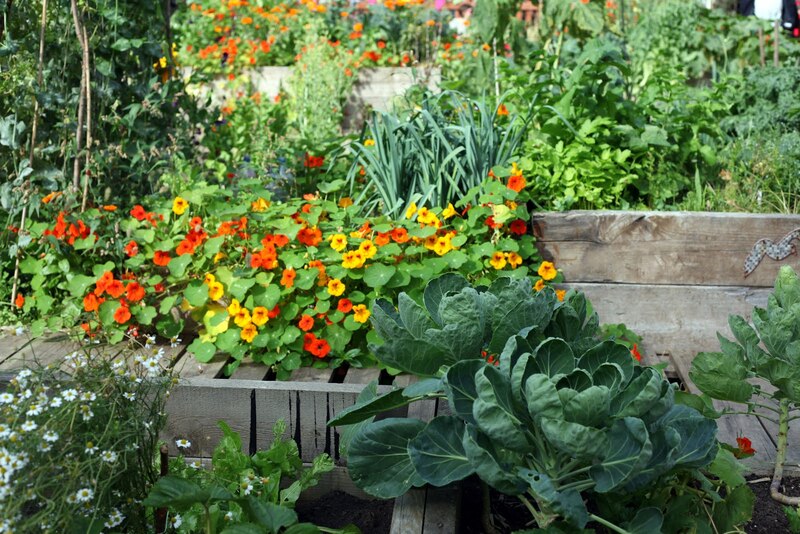 Community gardens and other local food projects should make this a bigger priority. For example, Woodlands Community Garden are running cookery classes at the moment, and we've linked these into support for the night shelter run by Unity. People on the course cook a meal together, and learn cookery skills, and that food is then given to the night shelter for homeless asylum seekers. We'd really like to see people from the night shelter come and take part in the cookery sessions too. It's really important that all the courses and opportunities that we provide are free because it makes things available to people who wouldn't otherwise be able to afford going to a night class. Roz: Yes, I agree, it's really important that local food should be for all. But how do we achieve that? Tim: We need to be bolder and more creative. We need to link up with social justice projects and work together to see how we can support those movements. And we can draw on examples from other countries. In Greece at the moment there are lots of social centres being set up to distribute vegetables and seeds and food. We should learn more from these projects. When we're organising events, such as the seed swap, we should make sure that we're providing a full range of support so that people have access to equipment, and can learn the skills and gain confidence to grow their own food. Roz: OK great. Great ideas. What's your one gardening tip to share with others who are starting to grow their own food? Tim: Get things started off indoors early in the season. We have a very short growing season in Glasgow, and you can really boost your crop by starting off seeds indoors. But don't sow everything at once! Try to plan what to sow when so that you get a good crop throughout the year. Roz: Good tips. So, finally, whats your favourite vegetable and your best recipe of the year? Well, I'd find it difficult to live without potatoes. But I like them all! Kale, peas, cabbage - its hard to pick just one. And my top recipe: Green Tomato Chutney - I've made loads of it. Tim Cowen is Project Manager at Woodlands Community Garden. In the New Year he'll be interviewing another member of Glasgow Local Food Network. Great interview - thanks for doing this Roz and Tim. Really good points being made about the social justice issues and what a fantastic idea linking up with Unity - brilliant - well done!